Maybe you’re the sort of person who always tries to see the good in others. You have a heart that forgives people time and time again hoping that they will see the error of their ways. You find it hard to comprehend the fact that some people are inherently bad to the bone. People are drawn to you because you’re kind, warm and caring, you’re like an open book, you’re the one people turn to for love and support and you give it b ecause that’s your nature, that’s who you are. Sadly, there are those who will take advantage of that big heart of yours. You’ll give them more chances than they deserve to get it right, but they won’t. They’ll take all you have to give, drain you until there’s nothing left and then they’ll leave or maybe you will get to the point where you’ve had enough and you’ll close the door and walk away. Either way, that big heart will be shattered into a million pieces, you’ll wonder what you did wrong and you’ll wonder if your love wasn’t enough. Some people will never appreciate the love you give. Some people don’t understand the meaning of the word. They have never matured emotionally and will never be able to reciprocate the love and kindness that you so readily give. That is their problem, not yours. Nothing you could have said or done would have changed the outcome. 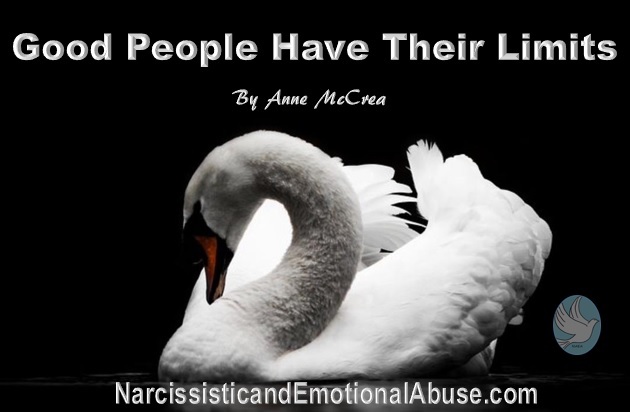 They will live their lives repeating this pattern of behaviour over and over again, never being able to form a deep and meaningful relationship with anyone they meet. Each and every one of us deserve to be respected and valued. 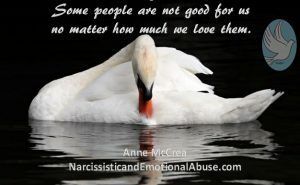 We need to understand that some people are not good for us no matter how much we love them. We need to learn to love ourselves enough to let people go. We need to learn to close doors that no longer lead us to where we want to be. Your heart will heal but it will never heal in the environment in which it was broken. You owe it to yourself. You owe it to your heart.